When Steven Douglas Smith’s parents are killed in a level-crossing accident, the four orphaned children are separated. Their neighbour, twenty-one-year-old Tori Smythe, applies for guardianship and is turned down due to her age and medical condition. Not happy with the ruling, the five of them run away – from Sydney to Perth, Western Australia, unaware that their actions could jeopardize a Federal Government Prosecution case. Detective Sergeant Scott Backer is called in to find them, and he sets off on a chase that will change his life. After a series of dramatic events, Scott takes on the role of Court Appointed Guardian to the teenagers, and settles down to a life in Perth. But life is far from plain sailing, as he discovers in the following books. 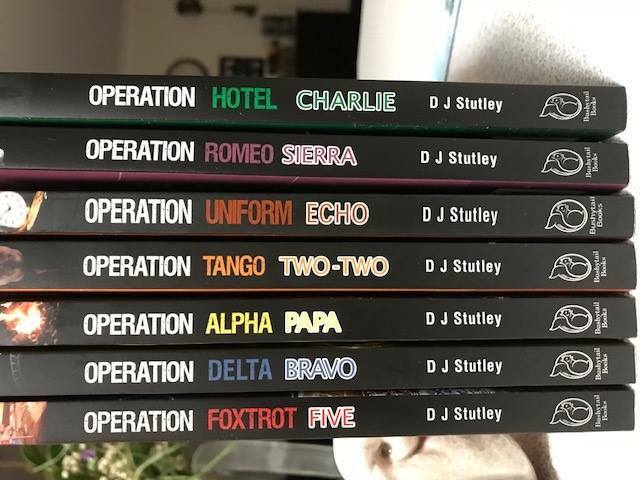 The Operation Series of books are fast-paced fiction crime thrillers, suitable for YA (Young Adult) readers by local Perth author DJ Stutley, the series includes 7 books with the 8th edition due in November 2019. You could win yourself the complete set! All you have to do is visit our Facebook page and guess which Operation series character has run away with the books! Competiton closes 11.59pm Tuesday 11th September. A winner will be chosen from the correct guesses Wednesday morning. The books must be collected from the 98five station in Como. The winner must email 98five by close of business Friday the 14th or a new winner will be chosen.